Wednesday, Oct. 5, 2016 | 6:30 p.m.
Thursday, Oct. 6, 2016 | 6:30 p.m.
May 13, 2016, 10 a.m. Reserved seating is $57, $39, $34 and $29. Applicable fees may apply. Reserved seating is $60, $42 and $35. Applicable fees may apply. 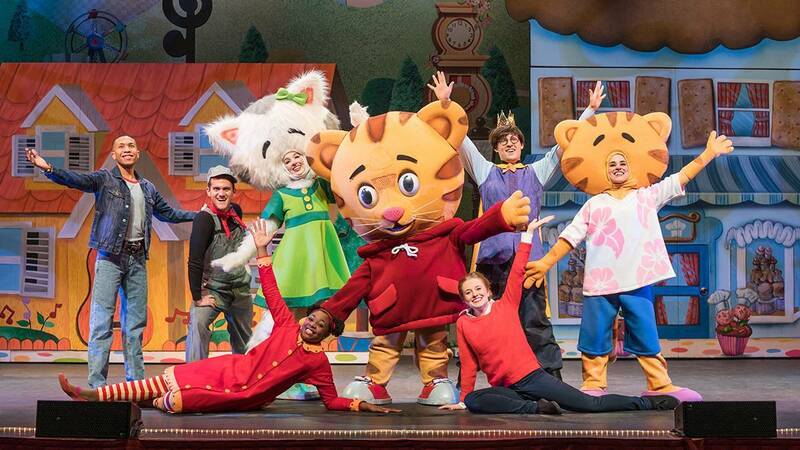 In February 2015, Daniel Tiger's Neighborhood was the number two program across all TV networks for Kids 2-5 and with moms of young children. In addition, it continues to be one of the highest-streamed shows, averaging over 40 million streams per month. One million Daniel Tiger books have been published to date, and downloads of the apps, music and episodes continue to rank high on iTunes.